If you are like us, after hearing the first 12 episodes of The Brinkman Adventures you've been anticipating the next offerings from Ian Bultman and his team. Well the wait is over! 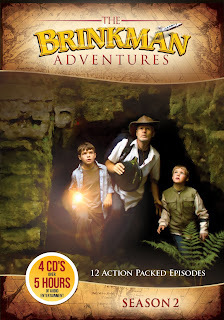 Season 2 of The Brinkman Adventures is now available for purchase in digital format as well as compact disc format. These 12 brand new episodes promise to be as exciting and entertaining as the last. Grab your copy of these thrilling stories today!